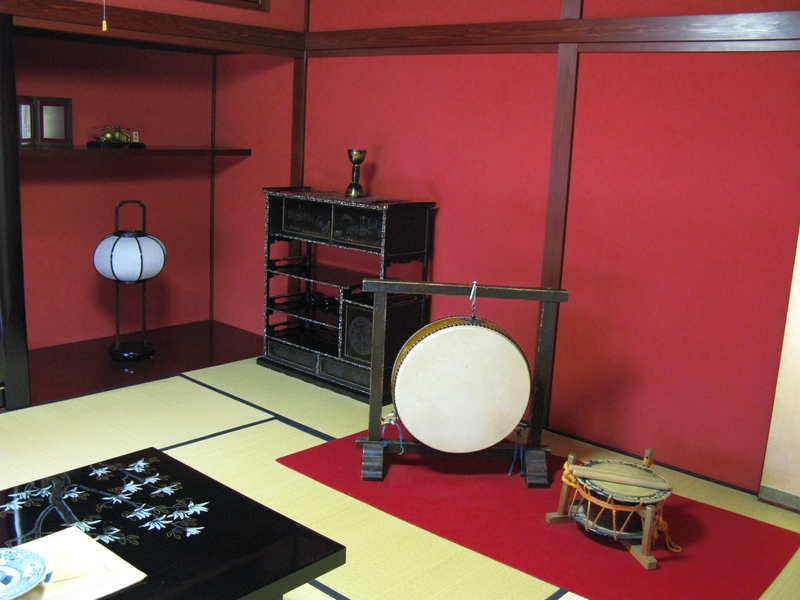 A Japanese tea house, (a chashitsu in Japanese) is a small, free-standing single room structure built for small social gatherings where tea is served. Just like the one shown here, the interior traditionally includes matted floors, sparce furniture and lattice and paper sliding doors. Red, black and brown are common color selections.